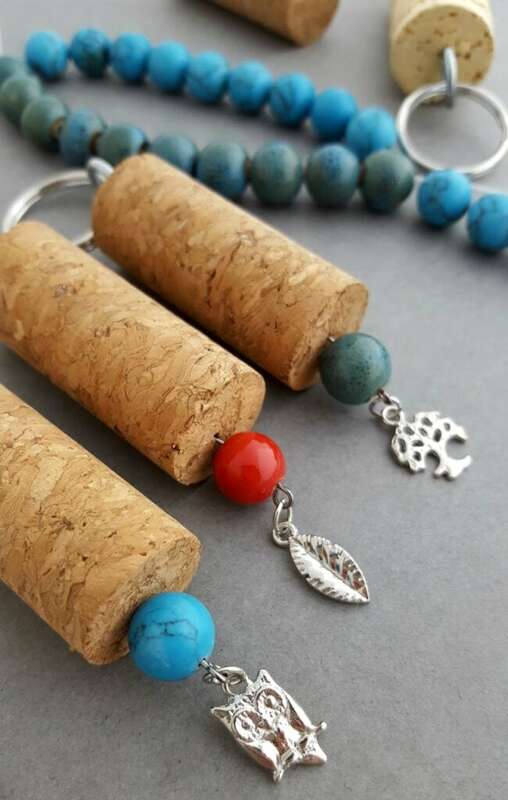 This DIY Wine Cork Keychain project is so beautiful. Not only is it something that is absolutely gorgeous to give as a gift, but it’s also so fun to make. I’m always looking for fun DIY projects to do at home (with or without the kids). 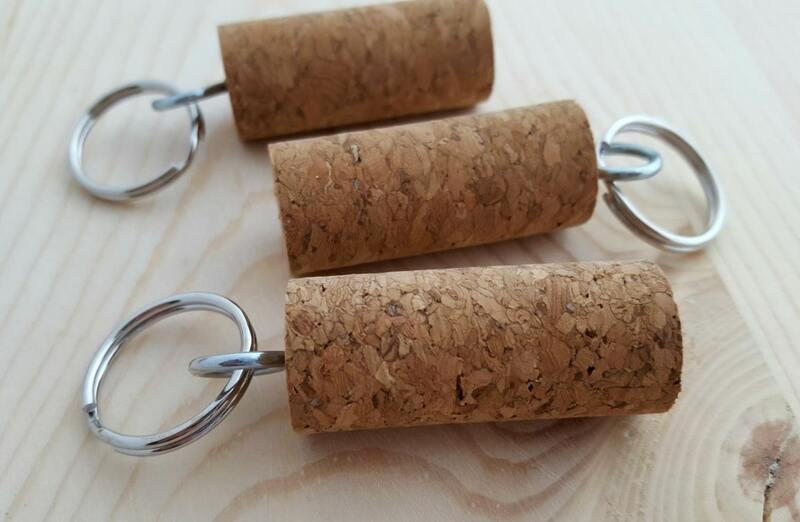 I thought this wine cork keychain project was a great one – especially for those who are beginners in the craft department. Here’s everything you need to know to get started. It takes about 3-5 minutes to make each keychain. Be honest – we all have that kind of time on our hands! And just think about how happy everyone will be when they receive these fun gifts! If you have an upcoming party on the books – like a bridal shower – this could be the souvenir or it could be the hands-on craft guests make together. Lots of great options!! You need just a few items to get started with this DIY project. I wouldn’t suggest you using wine corks that are stained from your favorite reds. Because this is wearable jewelry and needs to be clean and sanitary. This bag of 100 will run you around $12. If you are looking for a smaller quantity, you can grab this bag of 30 for around $8. If you are asking me, I’d say you should just go with the 100 and save them for another DIY craft project. 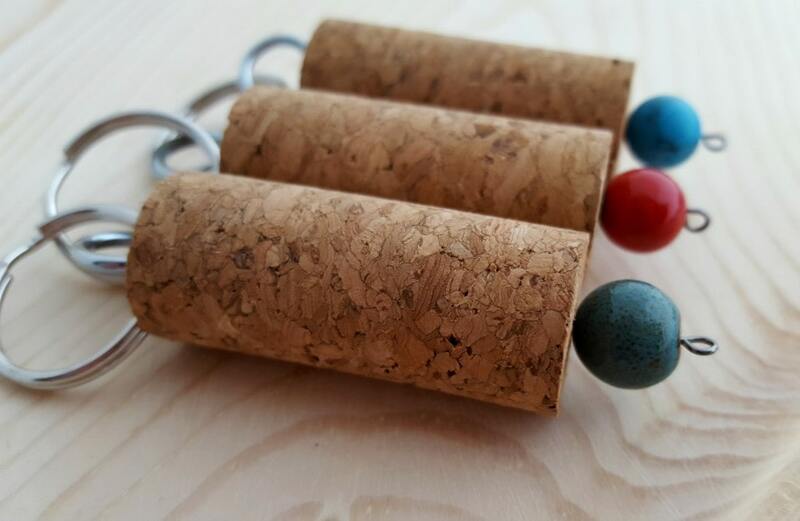 Let’s go through the rest of the list of materials you will need to make these DIY Wine and Cork Keychains. Twist a screw eye into one end of a cork. 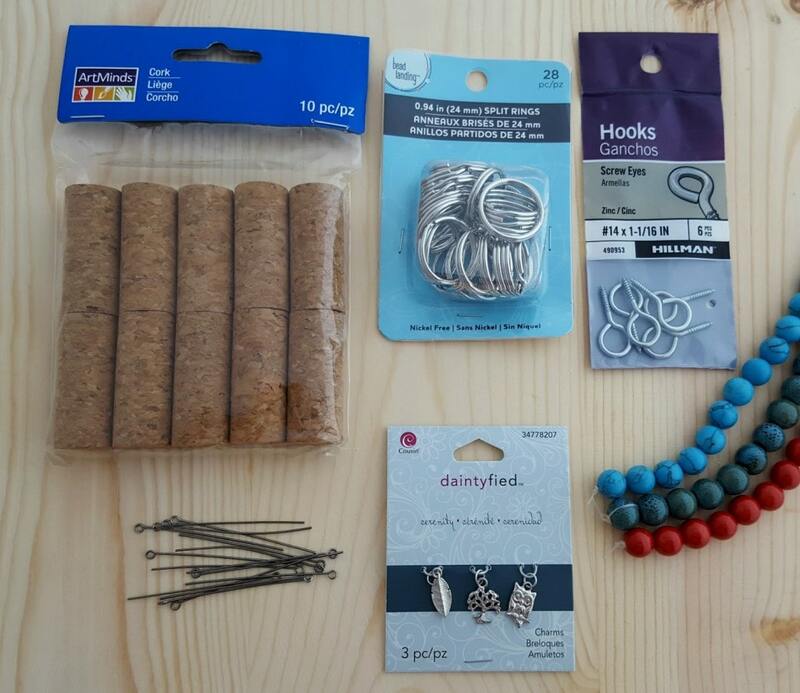 Attach a split ring to the loop of the screw eye to create the keychain. Cut an eyepin in half using wire cutters or sharp scissors. Use the side that still contains a loop, and slide on a bead. 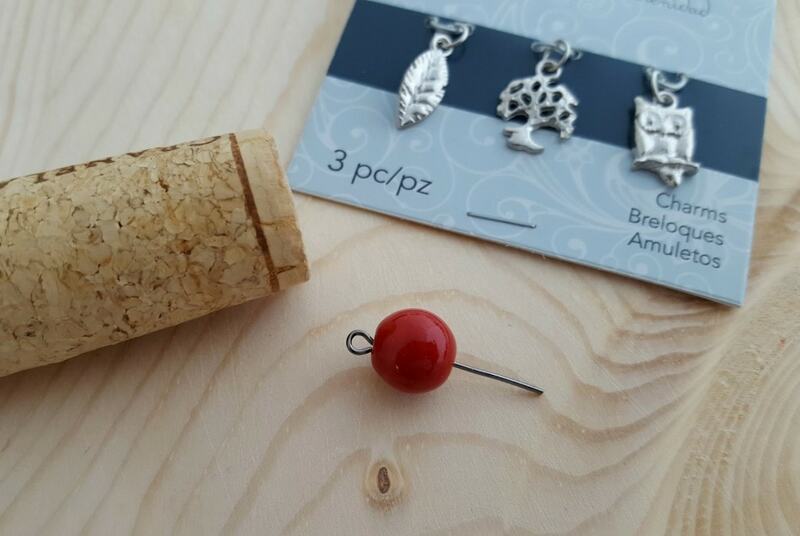 Push the beaded eyepin into the other end of the cork. Add a charm by twisting open the attached jump ring, placing it through the loop in the eyepin and twisting closed. The screw eyes can be easily found at any hardware store for $1-2. All other materials are available at local craft stores. These make great gifts for wine lovers! You could pull a ribbon through the keychain end and tie it around the giftee’s favorite bottle of wine. Perfect hostess gift for holiday parties!